The winners of the awards will receive one of five specially handmade trophies, pictured below. 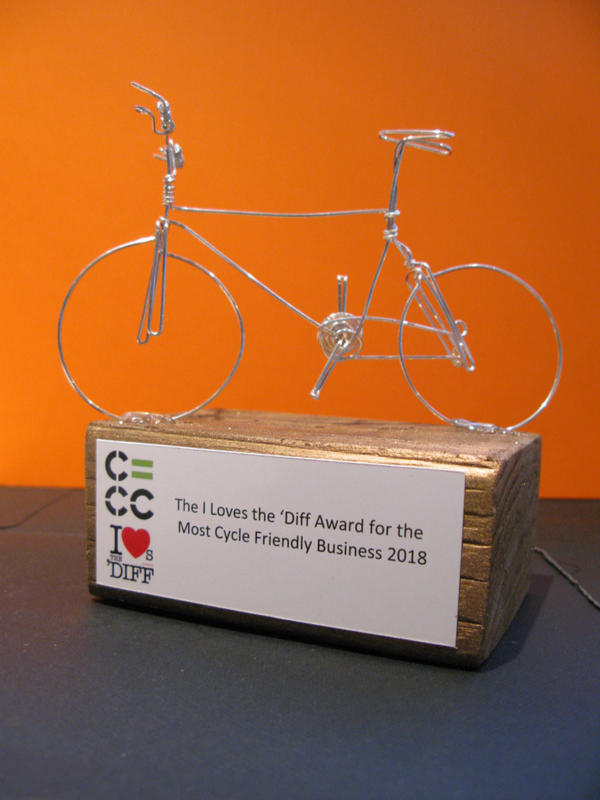 We are very grateful to I Loves the ‘Diff for their support for the awards, particularly the Most Cycle Friendly Business Category. The results of the vote and the award ceremony will take place at the Cardiff Cycle City Xmas Do in Ride My Bike Cafe, Park Place, on Wednesday 19th December from 6.00pm. We’re expecting a lot of people and places are strictly limited, so anyone wanting to attend is advised to book early. The free tickets can be applied for here. (on Eventbrite.co.uk: search for Cardiff Cycle City).